Google removed a number of malicious applications from the Android Market last week. The programs exploited a vulnerability in the platform that allows attackers to gain root access and apparently create a backdoor for deploying further malware. In a statement posted on the official Google Mobile blog this weekend by Android security lead Rich Cannings, the company has clarified the situation and described the steps it is taking to address the problem. In addition to preventing further infection by removing the malicious applications from the Android Market, Google will also be using its remote kill switch to forcibly uninstall the application from infected handsets. The company is also pushing out an update to the Android Market that can reverse the exploit, thus preventing the attackers from using it to cause further damage. Google has already started to send out e-mails to affected users in order to explain the situation. The standard for detecting cancer cells in biopsies is immunohisochemistry — and detecting key antigens can be a time intensive process, requiring days to complete. 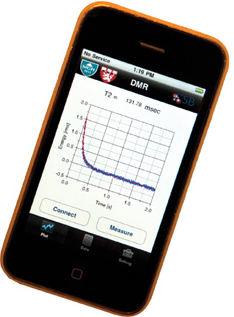 Researchers at Harvard and MIT have developed a mobile mini NMR (nuclear magnetic resonance) device operated by a smart phone that can be used at a patient’s bedside to detect cancer cells in under one hour. Researchers state the parts to make the device cost $200 to manufacture, making it affordable for clinics or in poorer countries. More promising, however, are the results of a study just published in the Journal Science Translational Magazine that used the device to diagnose cancer. The study found the mobile device performed better than traditional methods of detecting cancer cells in biopsies.